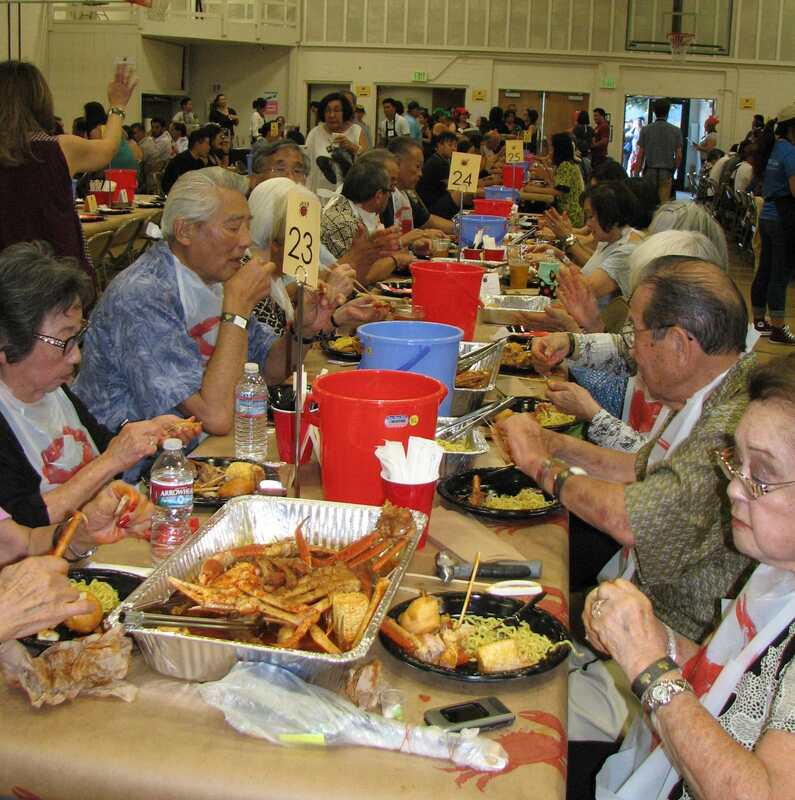 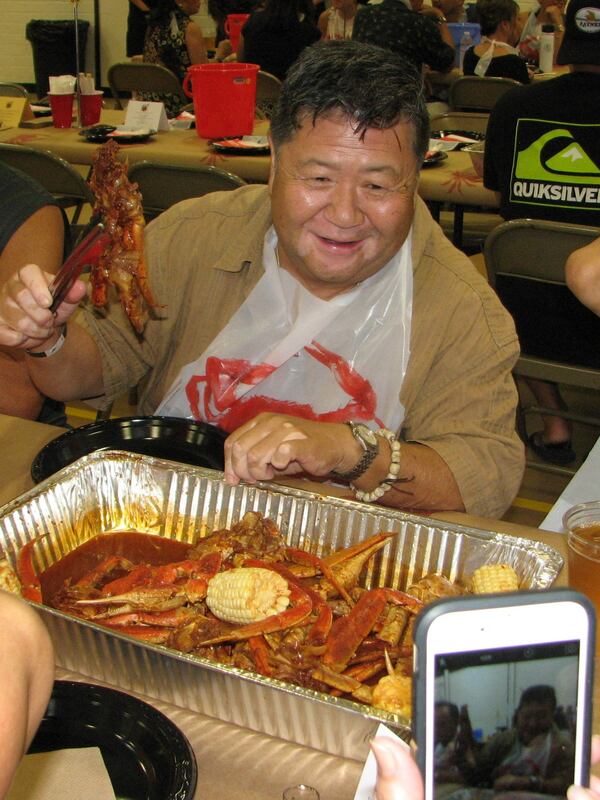 About 270 people turned out for the Japanese American Cultural and Community Center’s CrabFest took place Sept. 26 at Nishi Hongwanji Temple in Little Tokyo. 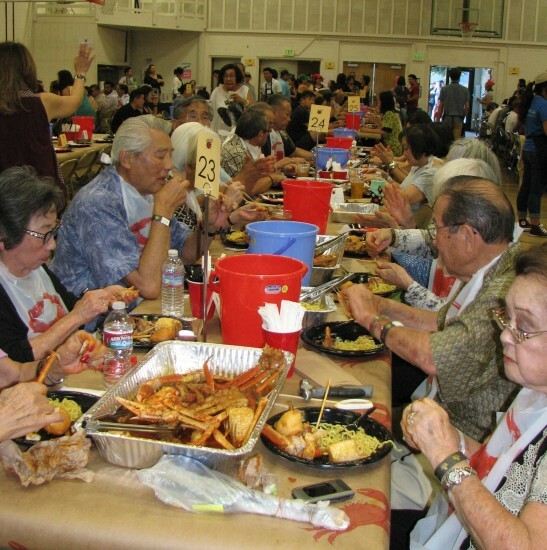 For the second year, JACCC teamed up with Starry Kitchen to serve Singaporean Chili Crab, garlic noodles and other side dishes. 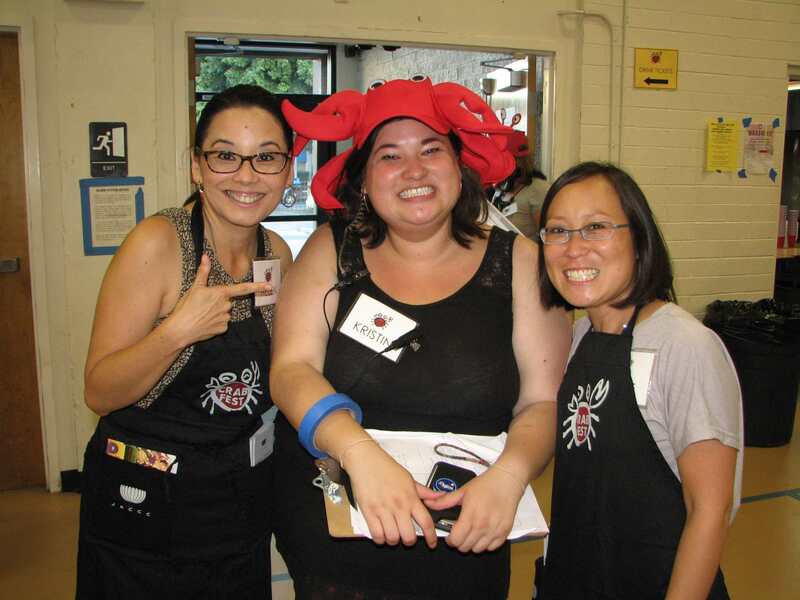 Diners were greeted by JACCC CEO Leslie Ito (right) and JACCC Director of Development and Marketing Helen Ota (left), pictured with volunteer Kristin Fukushima from Little Tokyo Community Council. 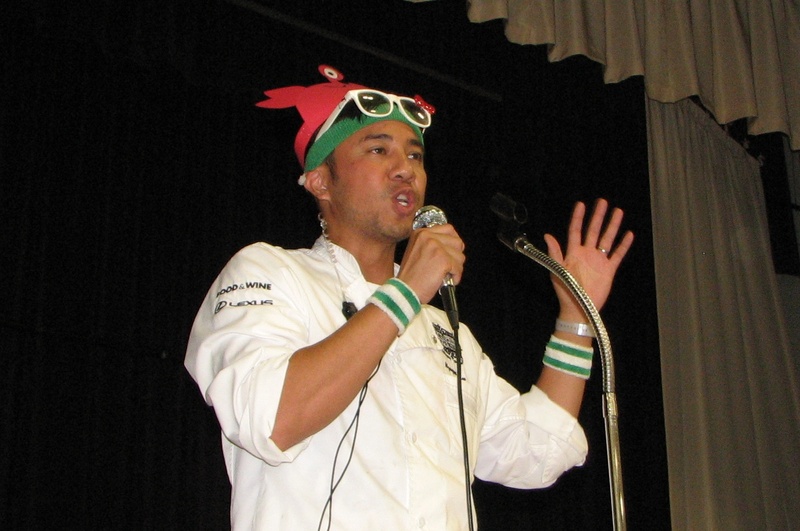 Chef Nguyen Tran from Starry Kitchen dressed for the occasion. 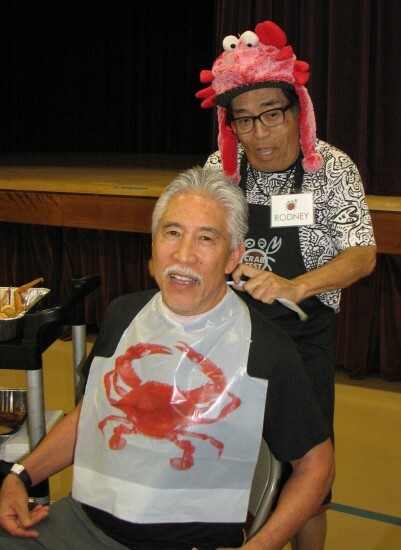 Kelsey Iino of Pop’d Up Urban Sweet Bar and her mom, Patty Nagano, served frozen treats. Members of the 2015 Nisei Week Court sold raffle tickets. 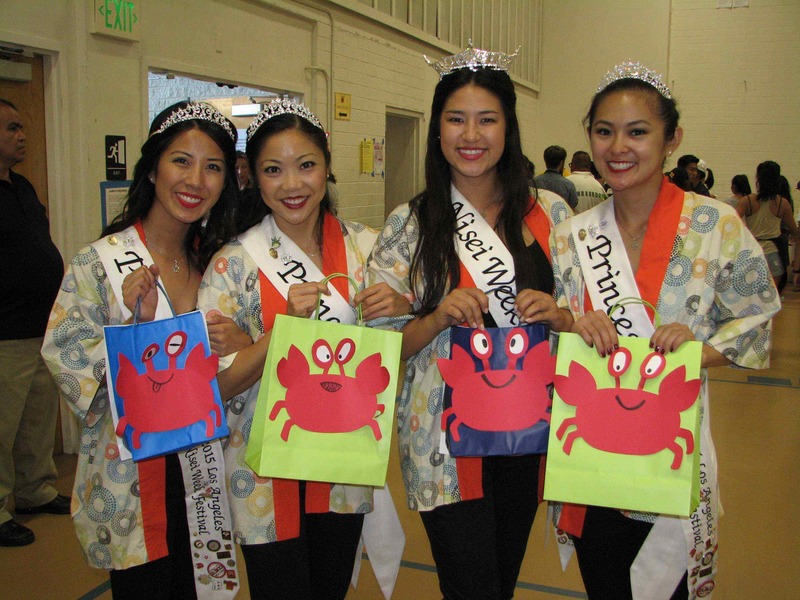 From right, Princess Camryn Sugita, Queen Sara Hutter. Princess Tamara Teragawa, Princess Michelle Hanabusa. Volunteer Rodney Kageyama provides Steve Nagano with a bib.